A beautiful Moroccan camel bone trunk from Marrakech. Oval shape. 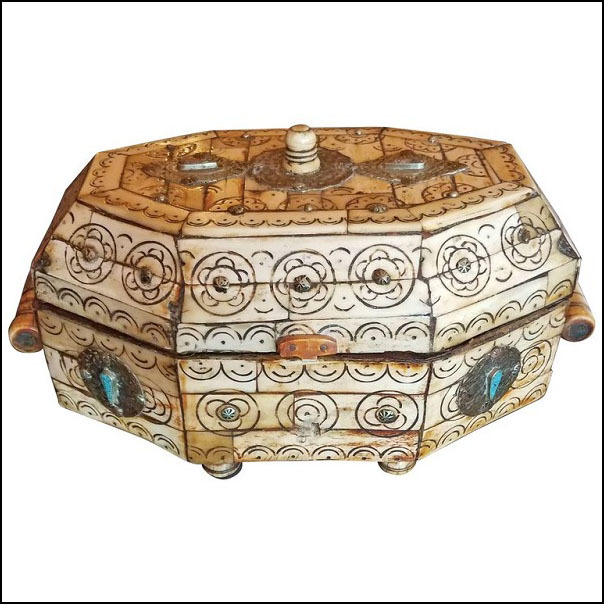 Ivory color inlaid camel bone makes this trunk a great addition to any décor. Measuring approximately 12″ x 7″ and 6″ in height. This trunk has brown leather lining inside, and sturdy wooden feet in all four corners. 2 handles on each end for easy pick up and better look.